With Valentine’s day right around the corner, I wanted some fun and simple decorations to spice up a plain wall in my bedroom. This project was super easy and would work well for multiple occasions. I used colored paper in pastels that I thought would compliment my dark grey wall and that could be left up even once Valentine’s Day is over. It was the perfect project to cover a large amount of wall with supplies I already had on hand! Enjoy! 2. Trace the cookie cutter on the backside of the card stock. Cut out shapes on about three sheets at once. 3. Cut enough hearts for your desired length. 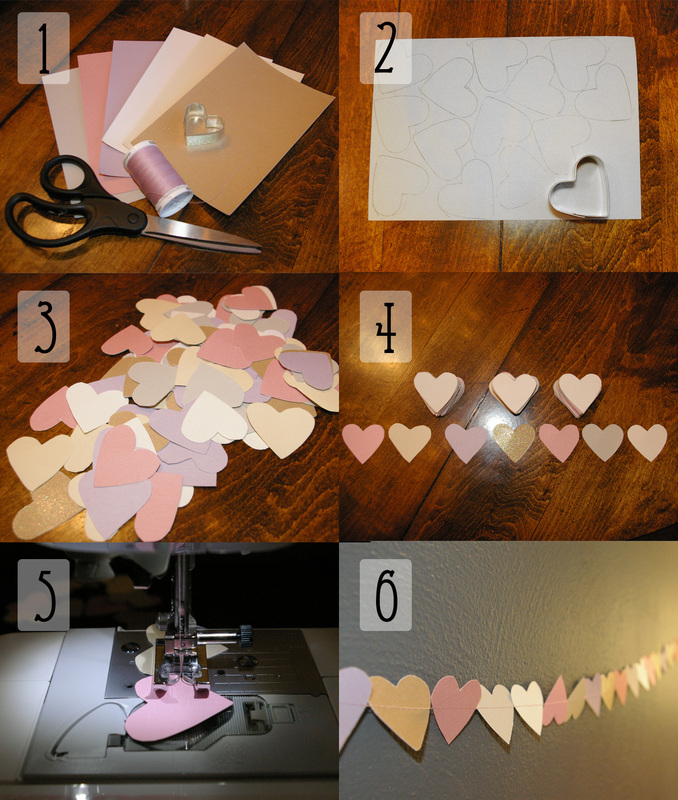 I cut out 98 small hearts for two garlands. 4. Organize hearts in desired order of color. You could do a repeating pattern like I did or just put them together randomly. 5. Sew hearts together one after the other. Remember to increase your stitch length to avoid ripping the paper. 6. Hang on wall with push pins and enjoy your creation!